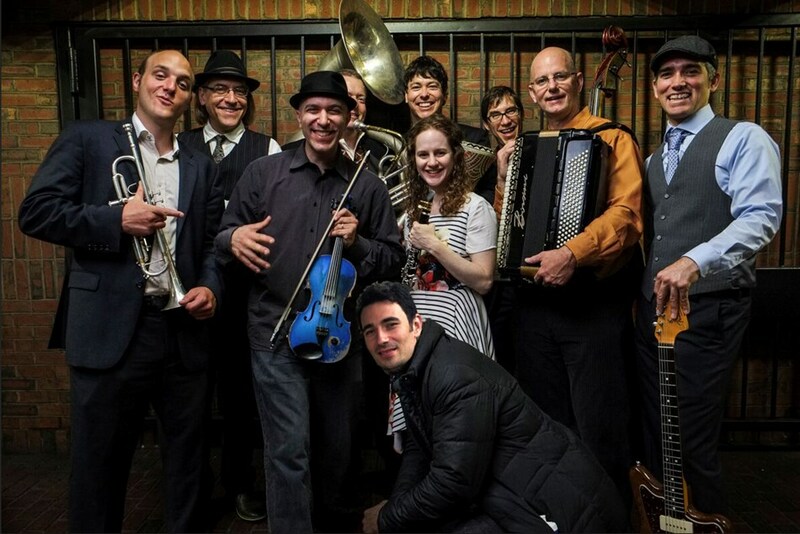 Klezwoods is a party band that performs music of the Jewish, Eastern European and Arabic traditions with a modern edge. An amalgam of strings, horns and percussion that melds the spirit of these styles with modern grooves, improvisation and melodies. Each world renowned player comes from a different musical background which adds to the fun, unique and complex tones. In the spirit of America's melting pot, these voices are brought together to make a new sound that is truly their own, while still embracing the cultures from which the music is stemmed. 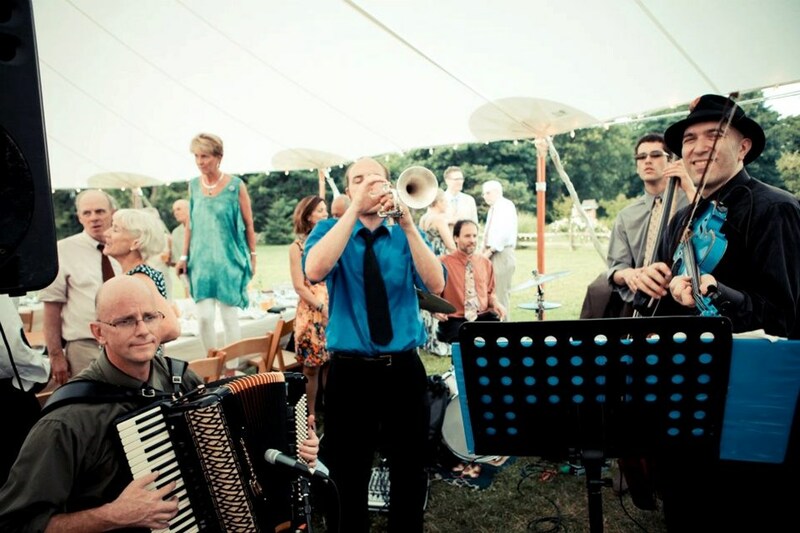 It's a great choice for your Jewish, Eastern European, Turkish, Greek, or Balkan-themed event. 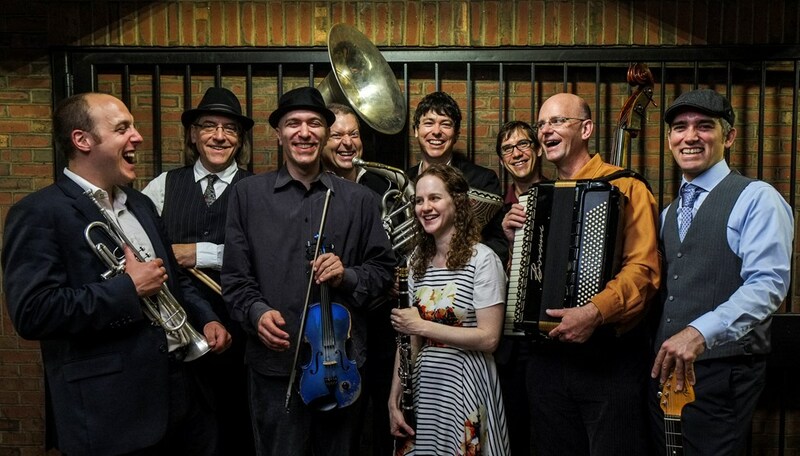 In addition to routine private performances at weddings, bar/bat mitzvahs, and corporate events, the group's notable public shows include The Kennedy Center in D.C., VI Annual Helsinki Klezmer Festival in Finland, The Boston Jewish Music Festival and the Burlington Discover Jazz Festival. In the Winter of 2014 they put on the premiere of the "30th Meridian Belly Dance Ballet" in Boston, playing down their most recent album from top to bottom, having a fully choreographed 6-piece belly dance troupe act out the story. Klezwoods can perform in formats of 6-10 players, but its standard format is 7 players. The wildest format is 10 crazy klezmer madmen and women; only for the brave client! The Klezwoods were very professional at the event, and through all coordination before the event. They knew the client was sensitive to volume, so they made sure to constantly check in and keep the client happy. Thanks so much for the kind review; the band enjoyed playing at this event! Hope to see you again soon. Please note Klezwoods: Boston's Best Klezmer / Balkan Party Ba will also travel to Boston, Braintree, Newton, Readville, Brookline Village, Medford, Randolph, Milton, Quincy, Wallaston, Watertown, West Medford, Weymouth, Arlington Heights, Holbrook, Melrose, Nonantum, North Quincy, Waverley, Dorchester, East Weymouth, Hyde Park, Mattapan, North Weymouth, Oakdale, South Weymouth, Waltham, Babson Park, Avon, Canton.